When the presenter speaks about “Ratchet” women, is he referring to the significant population of immature Criminally Negligent American moms who irresponsibly begin building families before acquiring practical skills, PATIENCE and the means to provide their child(ren) with a fairly happy American kid childhood that includes enjoying Safe Streets to travel and play on? Is the man with the great voice speaking about the population of American moms who ignore their Parental obligation and duty to place the well being of their child(ren) ABOVE ALL ELSE, as well as their societal obligation and responsibility to their neighbors to raise children respecting their neighbors and the authority responsible for maintaining peace in all our neighborhoods? Hello, Raykel. I am sorry you read my original comment to this thread and came away believing I blamed an innocent homicide victim for being stripped of her life by an EMOTIONALLY DISTURBED PERSON. Raykel, apparently much like the overwhelming number of primary maternal caregivers across our nation, your grandmother is a responsible, caring, loving person who realized she has a responsibility to your young uncle, as well as her community to raise and nurture a human who develops into a fairly, happy responsible adult. Sadly Raykel, there is a significant population of PRIMARY MATERNAL CAREGIVERS who do not recognize they have a parental and societal RESPONSIBILITY to raise well adjusted children maturing into well adjusted, peaceful fairly responsible teens and adults. I am deeply concerned about the growing number of Americans producing Youtube vids addressing the lack of personal responsibility exhibited by a significant population of African American females who they believe are harming our nations children as well as perpetuating negative stereotypes impeding American of African descent from enjoying the full respect all peaceful American have a right to enjoy. Raykel, do you share these people’s concerns and thoughts, or do you reject the concerns these Americans feel so strongly about they are willing to identify themselves, placing themselves and reputations at risk of being harmed by those who disagree with them? Raykel, I spent the first twelve years of my police career investigating violence in the Brooklyn, NY community Shawn Jay Z Carter joyously raps about he and his gang/crew/posse attempting to destroy with their poison drug operation and semi-automatic MACK MILLIS”. For nearly twelve years I regularly witnessed the emotional and physical pain, and homicide or drug overdose deaths Shawn and several drug crews/gang/posse’s like his caused to peaceful Brooklyn residents before I began to experience levels of stress and anxiety I felt were NOT healthy for me, causing me to become concerned for my emotional and physical well being which after twelve years forced me to abandon a community I came to consider my second home because I spent so much time there, making many friendships within the community. During those twelve years on a near-daily basis I witnessed a significant population of DEPRESSED, IMMATURE, IRRESPONSIBLE, APATHETIC UNCARING, UNLOVING “living wild” (Kendrick Lamar’s characterization of his mom’s violent felon embracing lifestyle) maternal caregivers EMOTIONALLY damaging young developing children who matured into depressed, uncaring, apathetic, irresponsible, immature, unpredictable sometimes suicidal (NY Times May 18, 2015 – Rise in Suicide by Black Children Surprises Researchers) teens and adults much like Kendrick and Tupac Shakur, both of whom rapped or spoke about childhood, teen and adult depression as well as experiencing suicidal thoughts. Raykel, I also witnessed many of these immature, mostly single moms building families before acquiring the practical skills, PATIENCE and means to provide their children with a safe, fairly happy Average Joe and Josie American kid childhood Kendrick Lamar laments he, his three siblings and numerous cousins were deprived of enjoying by their “living wild” violent felon family and community members. Raykel, I spent twelve years experiencing emotional pain watching irresponsible moms CREATING poverty by ignoring their PERSONAL RESPONSIBILITY to their children and community. Raykel, did Baltimore mom Toya Graham have a moral and ethical right to introduce SIX CHILDREN to a life of pain and struggle? Did Mrs. Tavis Smiley have a moral and ethical right to introduce TEN CHILDREN to a life of pain and struggle…during a May 2015 Fox News discussion about poverty Tavis revealed his NINE brothers and sisters are today still struggling with poverty. Raykel, do you believe Ms. Graham and Mrs. Smiley had a RIGHT or were acting responsibly when they knowingly introduced SIXTEEN human lives to a life of hardship, pain and struggle? Raykel, do you believe as I do that irresponsible, immature teen moms like Ms. Graham and Mrs. Smiley are responsible for CREATING POVERTY? Raykel, Do you believe as I do that Ms. Graham and Mrs Smiley should be viewed as CRIMINALLY NEGLIGENT moms for failing in their parental duty to their children and moral/societal obligation to their community and NATION to place the well being of their children ABOVE ALL ELSE? Raykel, on a regular basis I witnessed irresponsible parental figures raising and nurturing “failed, defective human beings.” Frankly, I am just as appalled as you are by Charles McKinney’s madness. However, unlike you and many other caring Americans, I am willing to look at the reason for why men like Mr. Charles McKinney embrace madness. Of course I could be wrong in believing Mr. Charles McKinney was exposed to childhood abuse and trauma during a critical period of his childhood development. Though I am not wrong for believing Freddie Gray, Michael Singleton, Michael Brown, Dwayne “Lil Wayne” Carter, Curtis ’50 Cent” Jackson, Kendrick Lamar, Shawn Jay Z Carter, Tupac Shakur and countless numbers of American children born over the past two generations who matured into depressed teens and adults, were emotionally TRAUMATIZED and neglected by moms who were PERSONALLY RESPONSIBLE for placing the well being of their children ABOVE ALL ELSE! Raykel, after reading this reply do you still believe I NEED TO CHANGE? Or are you willing to recognize Society needs to change our attitude, policies and laws for protecting children from being emotionally traumatized and often scarred for life by the selfish, irresponsible behaviors of moms I described in this writing? Raykel, I look forward to reading your reply OR reading the thoughts and concerns of others reading this discussion. Again, I’m sorry to pick on moms, though since ancient times they are the primary caregivers we look to keep us safe, cared for and loved right from our start. Sadly the oppression and cruelty suffered by African people during America’s development has today “largely” been replaced by a “Black Nightmare” responsible for OPPRESSING the lives of countless numbers of American children deprived of experiencing a fairly happy ‘Average Joe and Josie’ American kid childhood Kendrick Lamar laments he, his three siblings and numerous cousins were deprived of enjoying by his “living wild” Violent Felon embracing family and community members. via President Makes Stop in Papillion Neighborhood. If Mr. Obama is genuinely concerned about little kids, why is he not doing everything in his power, including using his presidential voice as America’s Premier Paternal/Parental figure to protect the countless numbers of American children being criminally abused and neglected by their immature or “living wild” primary caretakers? via Dude Tells His Story Of What Happened When He Ate A Girl Out! | New Video. Listening this young man speak, sadly I have few doubts he was victimized by America’s expanding and shameful National Epidemic of Child Abuse and Neglect, aka Poverty, that for decades has deprived untold numbers of emotionally abused and neglected young developing children from experiencing and enjoying a safe, fairly happy American kid childhood. Mouths attached to children who mature into depressed, angry, frustrated, unpredictable, sometimes suicidal (NY Times May 18, 2015 – Rise in Suicide by Black Children Surprises Researchers) teens and adults resenting their apathetic, immature single-mothers and/or irresponsible dads for introducing them to a life of pain and struggle, yet wanting to blame everyone under our sun except their moms and/or dads for depriving them of the opportunity to experience and enjoy a fairly happy American kid childhood with Safe Streets to play or travel on. Personally, I feel embarrassed and sad for this young man. Sad because he was raised by a mom he did not respect, causing him to view women as ^itches and ^hores, which in fact is the truth about far too many moms who raise angry kids like this young man. via Big Sean Gives $10,000 To Flint Water Crisis, Urges Others To Donate | GOOD BLACK NEWS. Reading Sean “Big Sean” Michael Leonard Anderson rap artistry lyrics I learned he repeatedly demeans women by characterizing our moms, sisters, grandmas, daughters, aunts and nieces as less than human ^itches and ^ hores unworthy of respect. Sean “Big Sean” Michael Leonard Anderson reminds me of gangster Al Capone who created soup kitchens designed to curry favor with depressed poor people who were willing to ignore all the emotional and physical HARM Al Capone and his gang/crew/posse caused to the community they preyed on. Sean “Big Sean” Michael Leonard Anderson could give away $millions$ , though that will not change the fact Sean and many of his rap recording artists buddies are chiefly responsible for perpetuating the struggles and hardships of their neighbors when they IGNORE the reason why so many of our American neighbors are struggling with pain and hardships….instead Sean chooses to glorify and profit from the pain and struggles of our neighbors. Please alert me when when and if Sean begins respecting himself, his neighbors and the MATERNAL HALF of our population. via (2) We must stand in our power! – Jada Pinkett Smith. I agree with Mrs. Pinkett Smith. When she uttered these words immediately my thoughts went to this interview where nationally and internationally popular victim of Childhood Trauma, Abuse and Neglect and American recording artist Kendrick Lamar addresses family and parental responsibility/accountability issues that deprived him, his three siblings, his numerous cousin, as well as far too many of his school classmates and neighborhood friends of THEIR dignity. Family and parental issues that also deprives far too many developing children from experiencing and enjoying a fairly happy “Average Joe and Josie” American kid childhood with Safe Streets to travel and play on. My next thoughts went to paragraph eight of this LAWeekly interview in which Kendrick graphically describes horrific child abuse and trauma that continues causing him to experience adult depression. My thoughts about Mrs. Smith’s comments and concerns also had me wondering why millions of my American neighbors WILLFULLY ignore our expanding and shameful National Epidemic of Childhood Abuse and Neglect mostly fueled and perpetuated by immature American teen girls and young women of African descent who irresponsibly and cruelly subject their children to undignified human oppression known as Childhood Abuse and Neglect, aka Poverty by building families with too many mouths to feed, clothe and supervise, before acquiring the practical skills, PATIENCE and means to raise a fairly happy child maturing in to a fairly happy, reasonably responsible teen and adult enjoying mostly fond memories of his ot her childhood. Child Abuse and Neglect that is primarily responsible for our prisons and far too many American communities being populated by depressed, angry, frustrated, undisciplined, unpredictable, sometimes suicidal teens and adults (NY Times May 18, 2015 – Rise in Suicide by Black Children Surprises Researchers) full of resentment for irresponsibly being introduced to a life of hardships and struggles. Addressing inmates at Ironwood State Prison, Robert K. Ross, MD, President and CEO of The California Endowment, gives a compelling overview of the role that exposure to childhood trauma plays in the lives of troubled and chronically ill Americans. I also asked myself why America’s Premier Presidential and Parental Couple largely ignore this child harming social issue that sadly robs millions of Americans of their dignity. 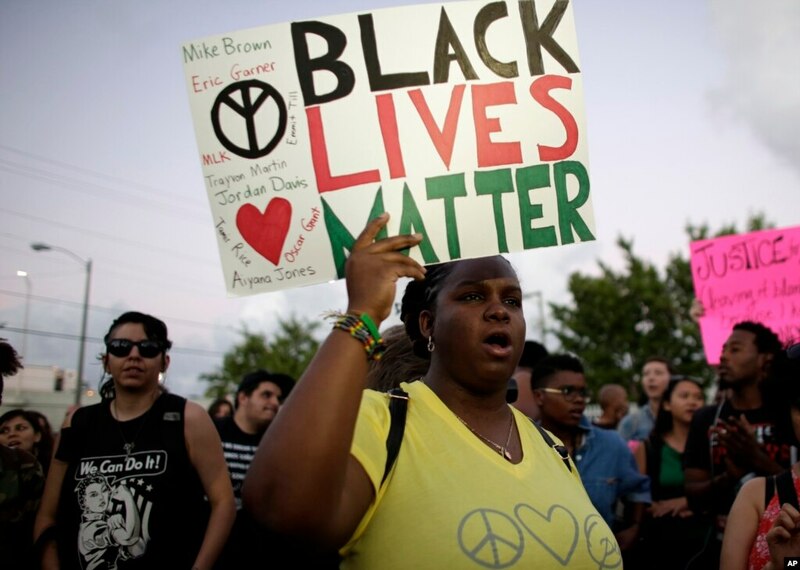 via Black Lives Matter Injects Agenda into US Presidential Politics. I’d like to preface my comments by mentioning I am NOT a person who embraces the ignorant, people dividing Black vs White or White vs Black game a significant number of my American neighbors wish to embrace. I’m a person who grew up in the sixties embracing the values of peace, love and unity espoused by many of my American neighbors of all flavors during that period of American history. My life experiences also force me to realize there is a significant population of immature American teen girls and adult women my experiences tell me are responsible for impeding a substantial population of peaceful, caring, loving Americans from finding internal peace, and enjoying the respect all peaceful Americans deserve. I am disappointed and frustrated by a significant population of immature moms like Baltimore mom and grandmother Toya Graham who I believe had no morally or ‘legally’ acceptable right to introduce SIX children to a life of hardships and struggles while depending on her responsible neighbors to feed, clothe and house her SIX children. One of whom was observed joining other depressed teens in attempting to cause grave bodily harm or death to police officers charged with protecting peaceful people from angry, depressed teens like her son Michael and many of his depressed classmates. Frankly, I believe these mom should be held criminally liable for receiving public funds to support their children, and then failing to place the emotional well being of their children above all else, often resulting with kids like Freddie Gray maturing into a depressed teen and adult who causes harm to himself and his struggling or peaceful neighbors. Sadly, regularly dealing with depressed, emotionally disturbed teens and adults much like Kendrick, Tupac Shakur, Freddie Gray and Michael Singleton took a toll on my emotional well being that resulted with me abandoning a Brooklyn community after spending twelve years of my life as a cop trying to protect peaceful people from Violent Felons who raised depressed kids like Kendrick Lamar, an emotionally damaged man who publicly speaks about his torment dealing with childhood and adult depression, as well as experiencing suicidal thoughts.